Who do you think this man is? From his clothes he's clearly a man from history. He was not born a baron but he died as one. Just take a moment to imagine what he might have done to warrant ennoblement. Did you think that, with his romantic shock of curly hair and a pen in his hand, he might be a Portuguese poet or a playwright? If you did, you would be wrong. But, if you thought he contributed enormously to Portuguese cultural life and economy in ways still relevant today then indeed you would be right. To learn who this man was; what he did for Portugal; why it is arguable that it is because of him that the steep shale banks of the River Douro are as productive and look as beautiful as they do today; and why there is a pousada named after him, click here. 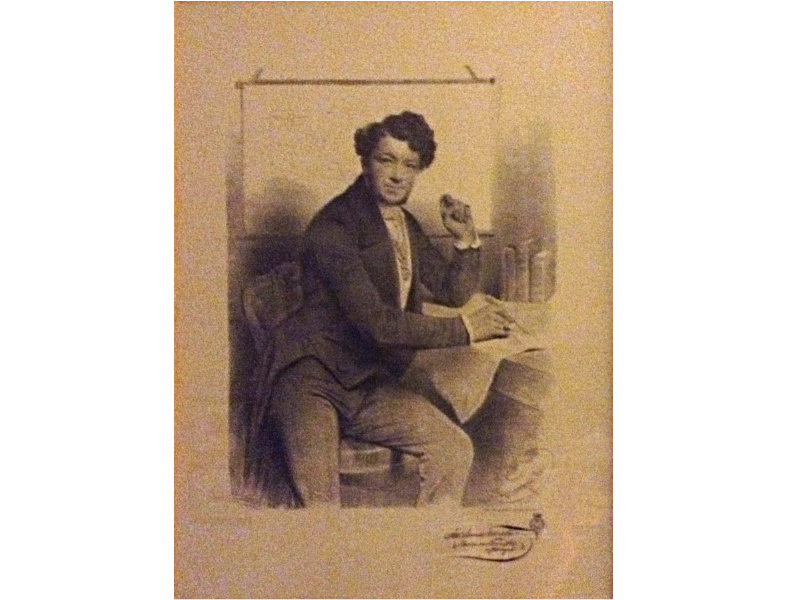 The man in the sepia print was so well loved in part of northern Portugal in the early 1800s that he once received addresses of thanks from 102 parishes and he is still remembered, almost two centuries later, as the Protector of the Douro. Indeed, his contribution to the country was so deeply appreciated by the state, that he was given the title Barão by King Fernando II. Added to this distinction is a list of august societies of which he was a member - royal and scientific societies in Lisbon, Porto, Turin, London, Paris, Berlin – too numerous to write out in full. For most people that might seem enough achievement for any man but this one was also awarded gold medals by the pope and the emperors of Russia, Austria and France and, not long before his death, the King Piedmont, Charles Albert, detached from his own breast the cross of St. Maurice and St Lazarus, which he had worn throughout his military campaigns, in order to affix it to the baron's coat. So who was this man who did so much for Portugal and was so lauded by the rest of the world? And where did he come from? He was not from the north of Portugal, not from the south nor even from the centre. Extraordinarily he was born just down the road from my English home in Yorkshire. Joseph James Forrester, Barão de Forrester, was born in Hull of Scottish parents. How, you may wonder, did this Scot from East Yorkshire end up in Portugal? 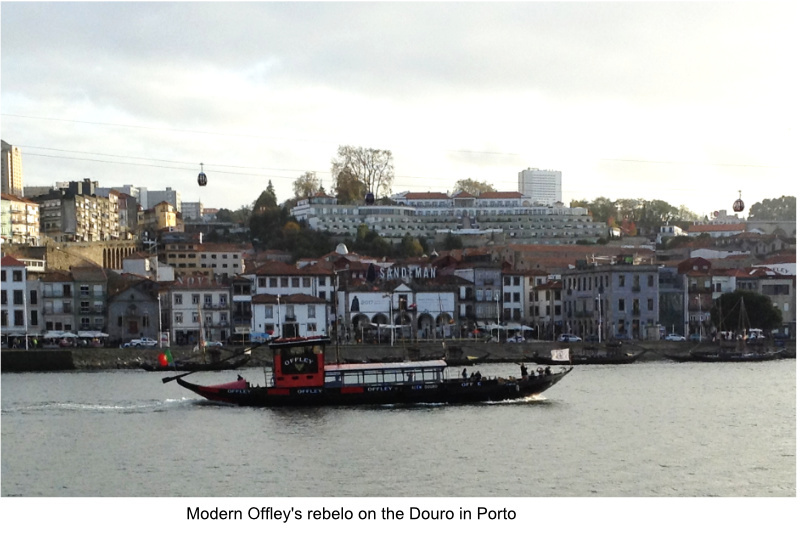 His uncle James Forrester was a partner in the company, Offley, Forrester and Webber, a wine exporting company in Porto, affording Joseph the opportunity of travel and an interesting job. In 1831 he took ship for Portugal, where while working with his businessman uncle, he discovered his great purpose in life: the mapping of the River Douro. This task took him twelve whole years. His drawings of the trajectory of the river from the town of Vilvestre on the Spanish/Portuguese border to the mouth of the estuary at Sao João da Foz was published in 1848. It was immediately recognised as a work of such brilliance that it was adopted as a national work by the government of Portugal and its creator was rewarded with the first baronetcy granted to a foreigner. Maps of the geology of the region and of the Port wine growing area showing the various quintas – farms – followed. Even as he was surveying and drawing maps of the Douro, Forrester was analysing the Port wine trade and what, in his opinion, was wrong with it. He published, anonymously, a pamphlet modestly entitled, "A word or two on Port Wine". Eight editions of it sold out rapidly. This was just the first salvo in his crusade to rid the Port Wine trade of abuses and restrictive practices, which he believed were depressing business. 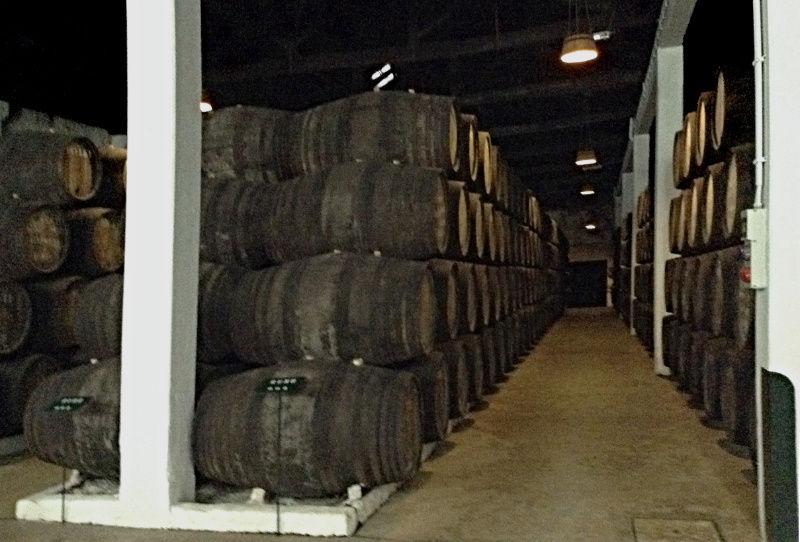 The Douro Wine Company, which maintained a monopoly, imposed draconian export taxes, created artificial shortages and cared little for the quality of the wine. It took little imagination for his enemies to discover who had written the pamphlet and Forrester was bitterly attacked by vested interests. 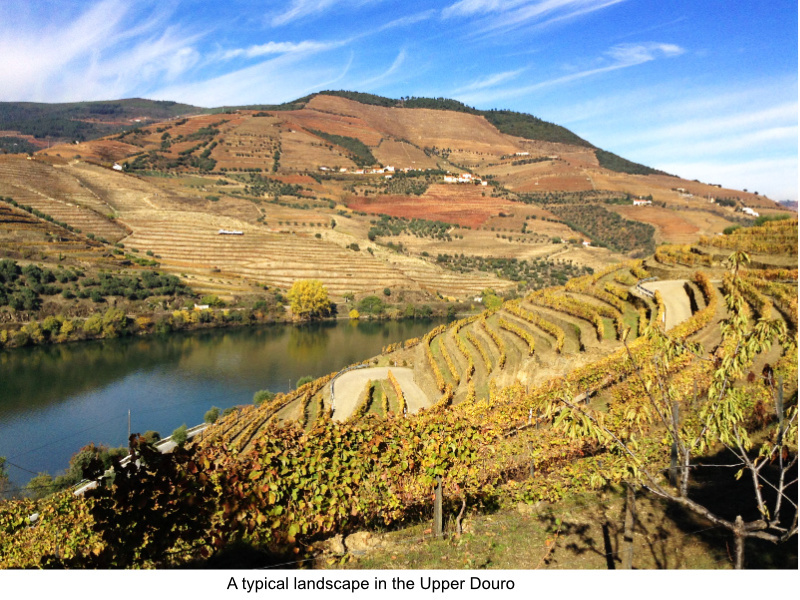 The wine growers in the upper Douro region, however, supported him heartily and encouraged him to continue his analyses. A prize winning essay on Portugal and its commercial capabilities written in 1853 went through several editions and is still considered a standard work. Forrester did not limit himself to wine, though; he wrote essays on vine diseases and how to improve olive oil production, painted and wrote a little poetry. It wasn't a case of 'all work and no play makes Jack a dull boy', though. It seems that Forrester not only mapped the Douro, he fell in love with it, ordering the construction of a luxurious rebelo, the typical shallow keeled river boat which transported wine barrels up and down the river. It is said that, innovative for the time, there was a kitchen on board and that he threw gracious banquets for his friends and guests there. It was manned by well trained and remunerated, uniformed crew. Wouldn't it be nice if the name of the river came from 'de ouro', made of gold, but it doesn't. It is probably from a Celtic word meaning water which was adopted and personalised into a God, Durius, by the Romans. If there is any gold in the Douro, it is no good going and panning for it, you are unlikely to find any but who knows maybe there still is gold down there, lost amongst the stones and mud of the river bed in Joseph James Forrester's money belt. Maybe, though, as there were no dams across the river in those days, his body was washed out to sea. What can you see today of the Barão de Forrester's influence and work? 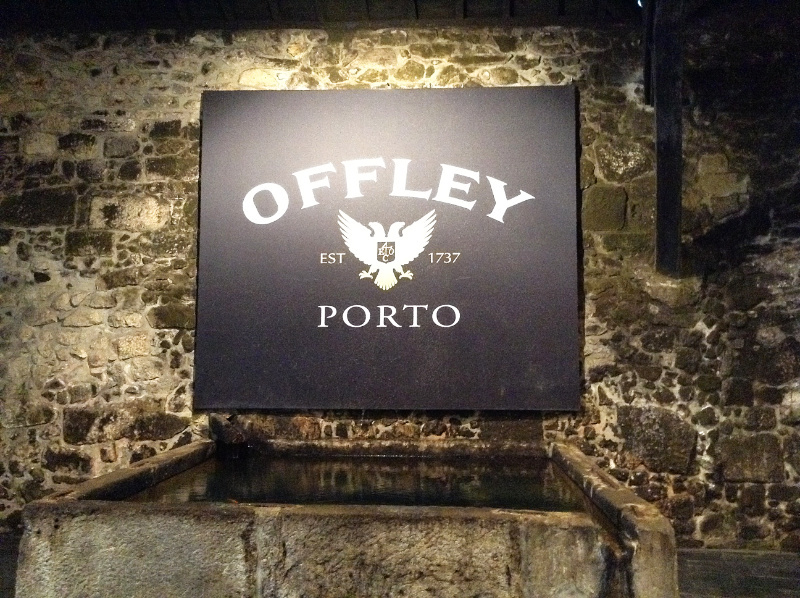 For example, you could visit Offley's Port wine cellar, the company which employed both his uncle and him, in Gaia. 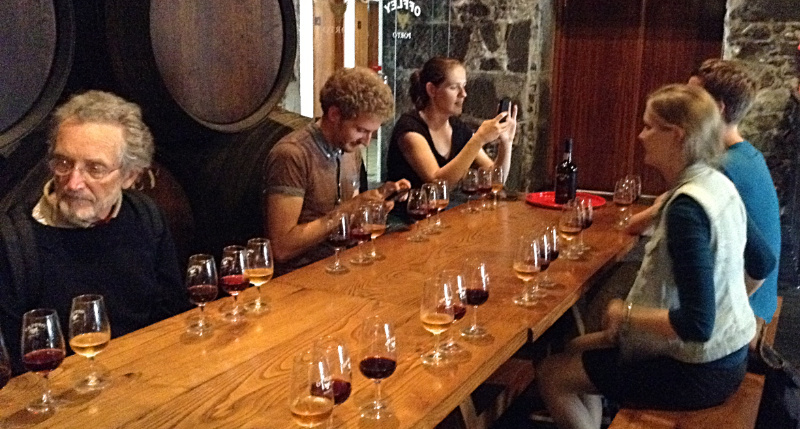 There you can learn something of the history and production of Port wine and taste some of the different kinds of wine available. 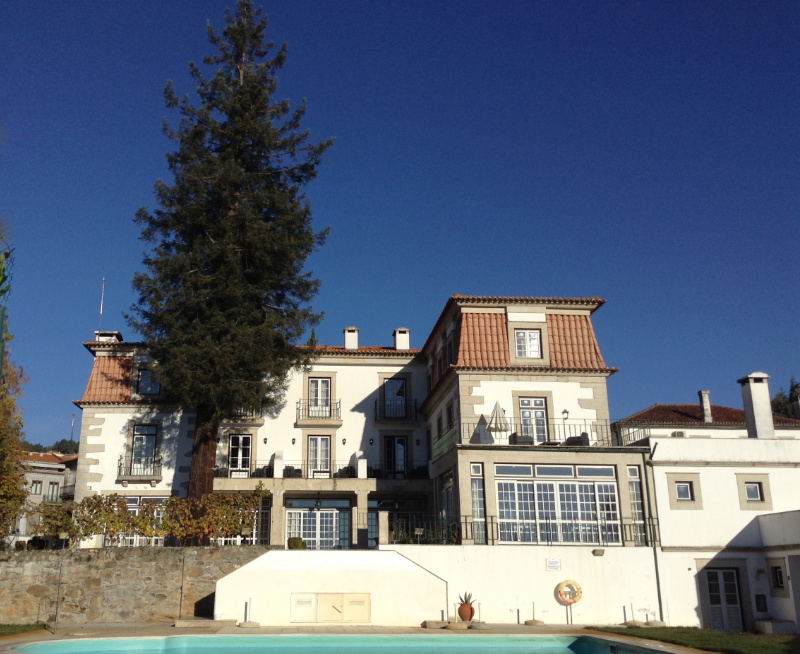 Or if, like me, you are not a great drinker but love majestic scenery, perhaps you could take a trip to the upper Douro and stay in the Pousada Barão de Forrester. The actual building, seen in the picture with a huge sequoia growing in front of it, is not actually connected in any way to Joseph James Forrester. The name was simply chosen to honour the 'Protector of the Douro'. 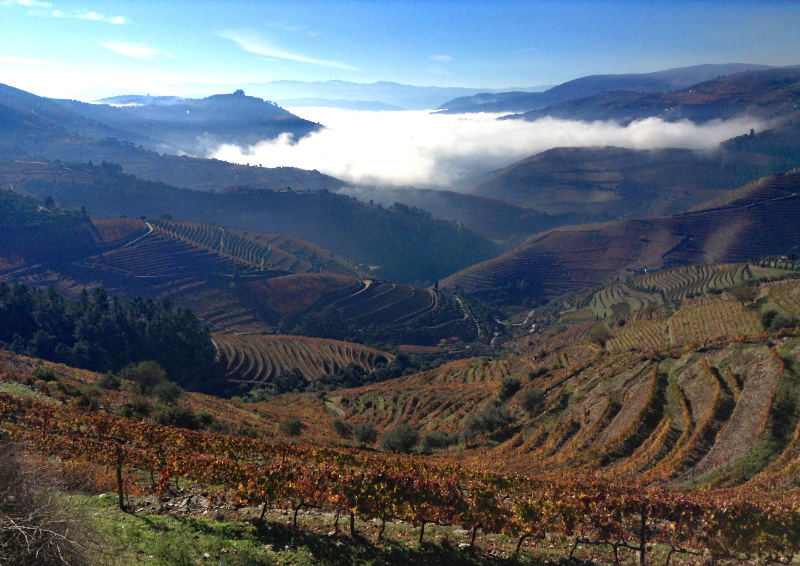 From here you can drive down to the Douro valley through magnificent scenery full of terraces planted with vines. Below you can see a photo of the land in autumn as the vines are turning red and russet with here and there the brilliant gold of sweet chestnut leaves. In the early morning, mist fills the valley as though with foam. As you can see my fellow Yorkshireman, Joseph James Forrester, knew when he was on to a good thing. The north of Portugal was so wonderful in the first half of the nineteenth century that he fell in love with it. Today, as well as me, there is a bunch of people from around our English county, who have settled in the north of Portugal. We all still find it enchanting and I think we should be grateful to the Barão de Forrester for protecting the glorious landscapes of the Douro, such as the one above, so we can enjoy them today. Do you have tales of influential people in Portugal or landscapes that you love? Why not write in and tell us about them? (If you are Portuguese, please feel free to write in your own language. You don't have to write in English. Lembre-se: o que é importante não é a língua mas a contribuição.